If you own a condo, townhouse or other shared housing property, you are legally obligated to insure the property. If you rent out the property, some of the insurance responsibility falls to the tenant– but not everything. If you are a landlord or tenant, read on for ARC Insurance’s quick reference guide to the different types of insurance policies available to you. 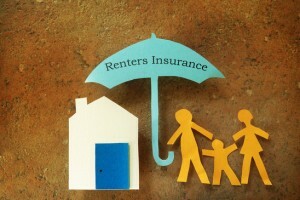 Tenant or “renter’s” insurance is designed to protect a resident of a property that is not the owner. The structural integrity of the property remains the owner’s responsibility, while the occupant accepts the burden of insuring their belongings– as well as the health and safety of non-residents. If you are renting, leasing or otherwise living somewhere you do not own, contact ARC today and get a free quote for custom-fitted tenant insurance policies. *Floods and earthquakes often require special coverage, so always consult with your insurance representative if you live in an at-risk area. Condo boards also must insure shared-use and common areas. Since damage to these areas can cost thousands or even millions of dollars, these policies are extremely detailed and extensive. Make sure you are protected! If you are buying a condo unit, have your ARC rep look over the coverage provided by your condo board’s insurance documents. Renting a new place? Renting out one of your properties? Contact or visit ARC Insurance today– our friendly and professional staff is standing by to offer you a comprehensive consultation complete with a free quote. You can’t afford not to!